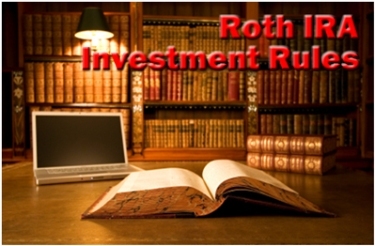 What are the Roth IRA investment rules? Are you limited in your investment selection? Are investment gains really tax free? If so, are they always tax free? Once you understand the rules, you'll gain the confidence to take charge of your Roth IRA investment decisions. Once you learn the Roth IRA rules regarding each of the above topics, you'll be far less likely to make a costly mistake. In order to comply with the Roth IRA investment rules, you must use an approved institution as trustee of your account. Unlike your 401k, your Roth IRA is most likely an account you're going to set up for yourself. Most employers offers a company 401k, but very few offer Roth IRA assistance. As a result, you need to open and fund your account yourself. And step one is finding an approved institution to serve as trustee of your account and its assets. "An individual retirement account is a trust or custodial account set up in the United States for the exclusive benefit of you or your beneficiaries. The account is created by a written document. The document must show that the account meets all of the following requirements. The trustee or custodian must be a bank, a federally insured credit union, a savings and loan association, or an entity approved by the IRS to act as trustee or custodian." Fortunately, it's not difficult to find an approved institution. Of course, you won't know for sure until you ask. Nevertheless, it shouldn't be too difficult to find an approved institution for your Roth IRA, and once you fill out the paperwork, you're ready to fund your account! The Roth IRA investment rules require you to make contributions with after-tax dollars. In other words, Roth IRA contributions are NOT tax-deductible. For instance, let's say you're 25 years old, make $30,000 per year, and you're in the 15% income tax bracket. If you want to make the maximum Roth IRA contribution of $5,000, you must first pay income taxes. After you pay a 15% tax on $30,000 ($4,500), you're left with $25,500 in take home pay. Contribute $5,000 to your Roth IRA, and you're left with $20,500 in discretionary income. But under a tax deductible plan such as your 401k, you make your retirement contribution first. 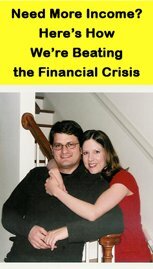 So contributing $5,000 to your 401k leaves you with $25,000 which is taxed at a 15% rate ($3,750), leaving you with $21,250 in discretionary income. That's the difference between pre-tax contributions and after-tax contributions. Just remember that under the Roth IRA rules, your Roth IRA contributions are NOT tax-deductible. Once you've made a Roth IRA contribution with after-tax dollars, you're finally ready to invest! But before you invest your Roth IRA contributions, you need to make sure your investments comply with the Roth IRA investment rules. You can use the funds in your Roth IRA to invest in a wide array of investment vehicles, but not all investment classes allowed. The prohibition on cash value life insurance is pretty straightforward and self-explanatory, but what about collectibles? Under the Roth IRA investment rules, what qualifies as a "collectible"? However, there are exceptions when it comes to investing in collectibles with Roth IRA funds. "One, one-half, one-quarter, or one-tenth ounce U.S. gold coins, or one-ounce silver coins minted by the Treasury Department." "Certain platinum coins and certain gold, silver, palladium, and platinum bullion." Nevertheless, most Roth IRA investors stick with traditional liquid market investments, such as stocks, bonds, and money market accounts. So why the big fuss over Roth IRAs? Well, the way the Roth IRA investment rules are written, you can grow your investments for as long as you want without having to pay taxes on interest, dividends, capital gains, or other earnings. If you follow the Roth IRA withdrawal rules, you can take distributions from your Roth IRA in retirement without having to pay a single penny in taxes! Assuming you reach age 59 ½ and your account is in compliance with the Roth IRA 5 year rule, all your Roth IRA withdrawals are tax-free and penalty-free. For instance, let's say you're 58 years old, and you've made the maximum annual contribution to your Roth IRA for each of the past ten years. After a decade of good returns, your Roth IRA has a total market value of $145,000 - $45,000 in annual after-tax contributions and $100,000 in investment gains. Can you close your account and withdraw all of the funds tax-free and penalty-free? Because while your account meets the requirements of the 5 year rule, you haven't yet reached age 59 ½. As a result, only your Roth IRA principal withdrawals are free of taxes and penalties, because you can withdraw your original contributions tax-free and penalty-free at any time for any reason. In this case, you can withdraw $45,000 in annual contributions without taxes or penalties, but in order to withdraw the entire $145,000 tax-free and penalty-free, you must first reach age 59 ½. Knowing the Roth investment rules provides you with an excellent bird's eye view of the Roth IRA as a retirement savings vehicle. And understanding the rules can save you save time, money, and hours of frustration.